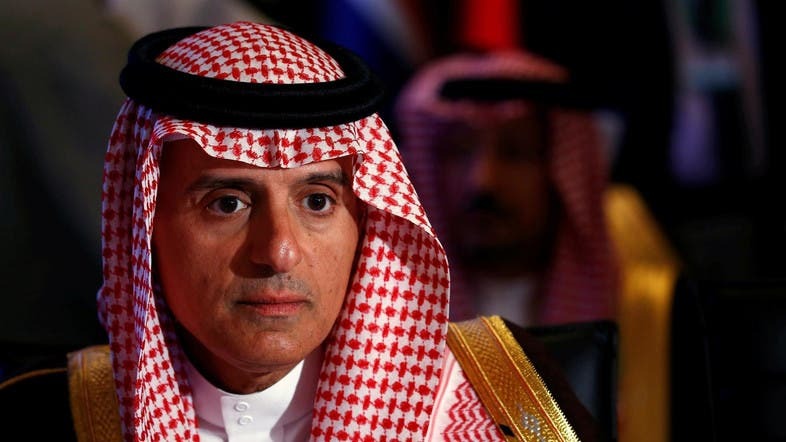 The Palestinian cause is a top priority for Saudi Arabia, which seeks to provide the Palestinian people with their legitimate rights, Saudi Foreign Minister Adel al-Jubeir said on Tuesday. At the opening of the 150th session of the Arab League Council in Cairo, which was held for officials at the ministerial level, Jubeir said that when the kingdom headed the 149th session in March, it was keen on unifying the Arab stance, advancing the role of the Arab League and developing joint Arab action in line with the latest developments in the political, social and economic scopes of the region. “The Palestinian cause is the top priority and concern of the Kingdom of Saudi Arabia, which seeks to achieve the legitimate rights of the Palestinian people based on the Arab Peace Initiative and the resolutions of international legitimacy for the establishment of an independent state on the 1967 borders with East Jerusalem as its capital,” Jubeir said. He added that the kingdom rejects any processes aiming to diminish the historic and lawful stance of Jerusalem. Arab foreign ministers meeting in Egypt have rallied behind the UN agency for Palestinian refugees, or UNRWA, after the United States ended decades of funding for the organization. The ministers also said Tuesday they regretted Washington’s decision to suspend funding and warned of the humanitarian consequences for five million refugees assisted by the agency. UNRWA was established after the war surrounding Israel’s establishment in 1948 to aid the 700,000 Palestinians who fled or were forced from their homes. Today, it provides education, health care and social services to some five million Palestinians in the West Bank and Gaza Strip, as well as Jordan, Syria and Lebanon. The agency is also a major employer in the Palestinian areas. The US on Aug. 31 cut roughly $300 million in assistance for UNRWA. On the Yemeni front, Jubeir said that the kingdom continues to abide by its commitment to the unity, sovereignty, stability, security and territorial integrity of Yemen through the support of the legitimate government and to cooperate with the efforts of the UN envoy to Yemen as long as it is consistent with the GCC initiative. “The Al-Houthi terrorist organization of Iran has not and will not respond to the calls of the international community to engage in the political process seriously, and the latest proof of this is their absence from the last Geneva meeting,” Jubeir said.